You must hear the incredible silence over Gallipoli to appreciate how moving a pilgrimage to these battlegrounds can be. Let Authentic Holidays show you the true ANZAC experience. Traverse the peaceful sandy beach front and view the rugged cliff faces those youthful ANZACs battled almost 100 years ago. Or pay your homage at dawn on ANZAC day. Your trip may also include other Turkey highlights. As well as Gallipoli, see the ruins of Troy. Journey along the Silk Road beside the stunning Aegean coast. Or marvel at the magnificent architecture of Istanbul, the world’s only city bridging two continents. Contact Authentic Holidays now to start planning your ANZAC experience or see our range of ANZAC Day tours below. 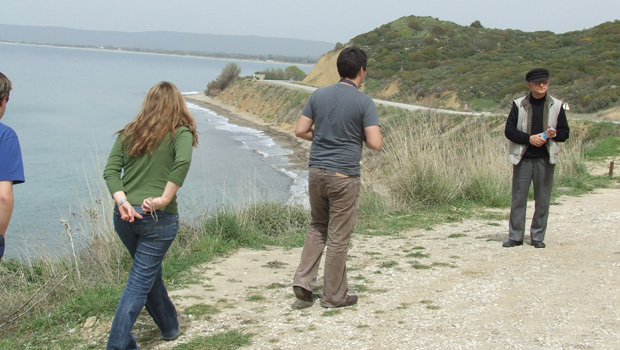 ANZAC Cove, now a peaceful place, was the site of the ill fated landing of the ANZAC's on April 25th 1915. The cove remained the main base for the ANZAC's during the Gallipoli Campaign which was lost by the Allies after 8 long months. Today, ANZAC Cove is an important site for Australians and New Zealanders who come to pay their respects and reflect on the horrors of war.